Cologne - It wasn't all that long ago that FC Schalke 04 were vying for a place in next season's UEFA Champions League, but a run of six games without a win has since put the club at serious risk of missing out on a place in Europe altogether. As Roberto Di Matteo mulls over the Royal Blues' worst run of form of his tenure, it is arguably now more than ever that the Italian head coach needs his star names to stand up and be counted - returning playmaker Julian Draxler very much included. In many ways, it has been a season to forget for one of German football's most exciting talents. Draxler scored his first goal of the campaign in the Matchday 4 draw at Eintracht Frankfurt, only to be sent off following a reckless challenge on Carlos Zambrano. Schalke picked up wins over SV Werder Bremen and Borussia Dortmund in the 21-year-old's absence, before losing to TSG 1899 Hoffenheim upon his return, a defeat which cost Jens Keller his job. In Di Matteo's first game at the helm, Draxler scored one and laid on another for Klaas-Jan Huntelaar in an encouraging 2-0 win at home to Hertha Berlin. The Knappenschmiede academy product was also a major player in Schalke's rip-roaring 4-3 victory over Sporting Clube de Portugal in the group stages of the Champions League and while he couldn't spare his side a 1-0 defeat to Bayer 04 Leverkusen in the league four days later, all the signs pointed to another campaign of accelerated personal development. With the Di Matteo era in full swing and Draxler hitting his straps at home and abroad, 12th-placed Schalke welcomed FC Augsburg to the Veltins Arena on Matchday 9, sitting just three points adrift of the sought-after European places. Huntelaar scored the only goal of the game as die Knappen maintained their unbeaten home run with a win that took them up to eighth in the standings, but celebrations were muted at best. 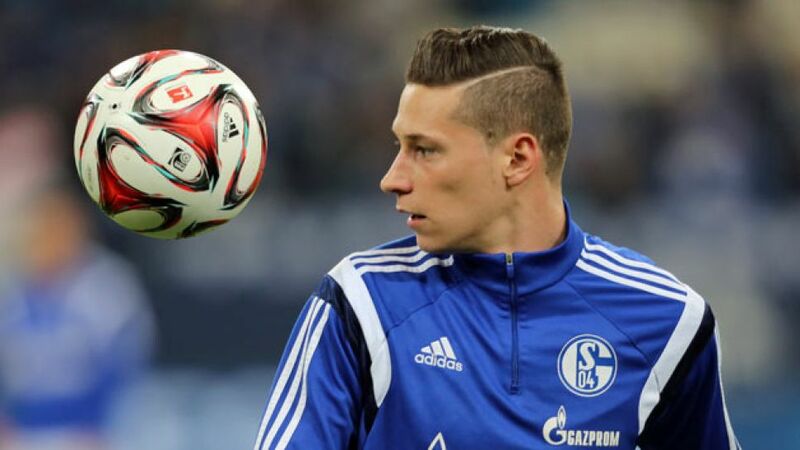 Scarcely four minutes into the contest, Draxler had pulled up lame with a suspected hamstring injury. Tests revealed the Schalke Zehner to have suffered what sporting director Horst Heldt described at the time as "a serious tear", with surgery the only option. The Royal Blues would have to see out the rest of the calendar year without their star attraction - if not longer. Draxler in fact missed 22 games in all competitions, before making his long-awaited comeback as a substitute in the Matchday 28 stalemate with SC Freiburg on 11 April 2015. He managed a further six minutes of the 1-1 draw at VfL Wolfsburg a week later and completed the best part of half an hour in last Friday's 2-0 reverse at 1. FSV Mainz 05. While that particular result at the Coface Arena extended Schalke's winless run to six, the man the Gelsenkirchen masses are proud to call their own gave his side a lift like only he knows how, enjoying a 91.3 per cent pass completion rate and even striking the crossbar late on. Not bad at all for a player supposedly still finding his feet after a near-five-month spell on the sidelines. With ring rust on the wane, Draxler now has four games - against VfB Stuttgart, 1. FC Köln, SC Paderborn 07 and Hamburger SV - to save Schalke's season. That might sound a shade extreme, but with one win in ten Di Matteo's troops are performing massively below the expected standard. Indeed, with eight other sides still in with a mathematical chance of pinching one of the two guaranteed UEFA Europa League places on offer, it may well go down to the final day - and that's exactly where Draxler comes in. No one at Schalke will ever forget his goal and all-round performance that helped steer the club past Freiburg and into the Champions League play-offs on Matchday 34 of the 2012/13 campaign; nor would they be willing to bet against him repeating the trick and securing a place in the competition's sister tournament before the proverbial landlady calls last orders on 2014/15 in little under four weeks' time.